It seems like we have been living peacefully without majar online security flaw, however a bug called “HeartBleed” has been revealed earlier this week. This “HeartBleed” bug could let attackers gain access to users’ passwords and fool people into using bogus versions of Web sites. Some already say they’ve found Yahoo passwords as a result. The problem, originated from the famous open source, “OpenSSL” that’s widely used to encrypt Web communications. 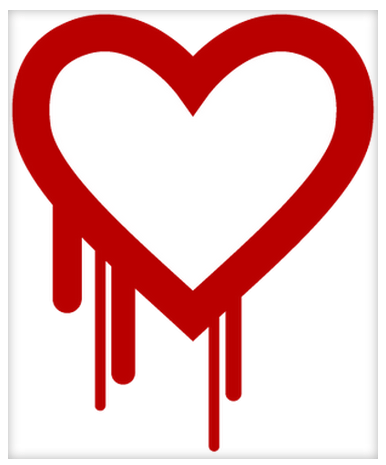 Heartbleed can reveal the contents of a server’s memory, where the most sensitive of data is stored. That includes private data such as usernames, passwords, and credit card numbers. It also means an attacker can get copies of a server’s digital keys then use that to impersonate servers or to decrypt communications from the past or potentially the future, too. Regenerate a new SSL certificate if you are using one.